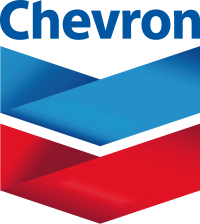 Chevron can assist the student members of Beta Alpha Psi by presenting on career or technical related topics in the fields of finance/accounting, oil and gas accounting, international careers for accountants, career development and advancement, recruitment process and internships. Chevron representatives have expertise in many technical and soft-skills disciplines, which student chapters can leverage at local chapter meetings. Chevron is one of the world’s leading integrated energy companies and is headquartered in San Ramon, California with another major Finance hub in Houston, Texas. Our success is driven by our people and their commitment to delivering industry-leading results and superior stockholder value in any business environment. We do this by operating responsibly, applying advanced technologies, capturing new high-return opportunities, and executing with excellence in a socially and environmentally responsible manner. We explore for, produce and transport crude oil and natural gas; refine, market and distribute transportation fuels and lubricants; manufacture and sell petrochemicals and additives; and develop and deploy technologies that enhance business value in every aspect of the company’s operations. We take great pride in enabling human progress by developing the energy that improves lives and powers the world forward. The accounting/finance department provides a full range of finance, accounting and analytical services to Chevron’s many business units. Chevron utilizes leading edge financial software and emphasizes continuous learning for its accounting and financial professionals. Our opportunities include a development program which provides members with a variety of challenging rotational assignments that enhance their existing skill sets and expose them to both corporation & operating company environments; as well as accounting/financial analyst jobs that support our North America operations through accounting for production, revenue, royalty and severance taxes for oil, natural gas and/or plant products. London is the Manager of Chevron’s Finance Development Program (FDP). Her responsibilities include recruiting and hiring accounting & finance undergraduates, in addition to managing the development of new hires during their rotations on the program. London earned her Bachelor’s in Business Administration & MBA (Finance focus) from Florida A&M University in Tallahassee, Florida. 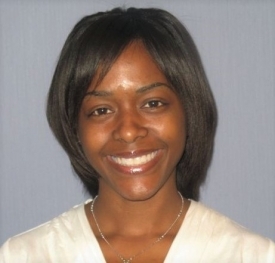 She joined Chevron following her graduation in 2002 as a member of the Finance Development Program. Since completion of her FDP assignments, London has held numerous positions of increasing responsibility supporting the Downstream, Midstream, Comptroller & Treasury organizations. Her most recent assignment prior to becoming the FDP Manager was in the Finance Shared Services organization as the Lean Sigma Supervisor.